As blockchain technology continues to disrupt and open up different sectors, GG World Lottery is giving us the first ever fully licensed and regulated lottery on the blockchain. With the implementation of decentralized ledger technology, many of the challenges and problems associated with traditional lottery systems will be a thing of the past. 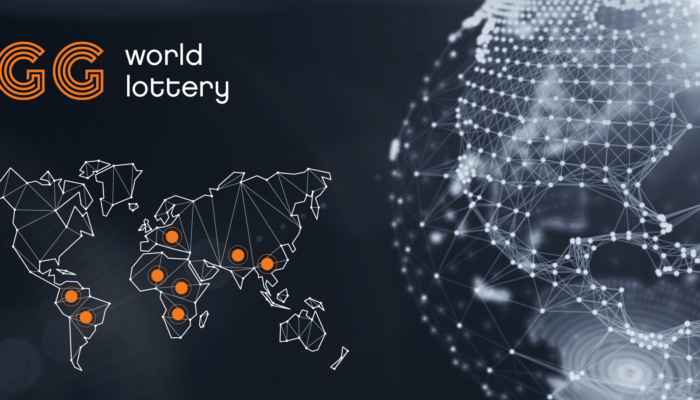 With a model built around security, transparency, ease-of-use, and accessibility, GG World Lottery hopes to tap into unexplored markets such as the African continent and more. Thanks to GG World Lottery blockchain platform, the gambling industry is also set to receive a facelift as it will get rid of outdated lottery hardware such as communication routers, ticket dispensers, monitors, scanners, tickets, and terminals. In addition to removing retailers and other intermediaries from the equation, the platform will provide numerous advantages to the players by enabling them to play right at their homes while eliminating fraudsters from the lottery ecosystem. The GG World Lottery platform protects both players and users by employing blockchain nodes. It provides additional transparency by ensuring fairness of draws through the integration of TRNG technology based on Quantis True Random Number Generator. Also, it will utilize the advantages offered by DLT to share profits with eligible community members and respective jurisdictions as per their existing regulatory and legal frameworks. In addition, the platform also allocates a significant percentage of the profits, to be channeled to verified charitable organizations. In order to ensure global compliance, GG World Lottery is committed to working by the letter of the law in each geography. In this regard, it has already signed 12 NDAs with several regulatory bodies, which grants them the rights to offer their services. The platform has also obtained 17 licenses from different governments and continues to expand its network within these countries. In the coming days, GG World will be further extending its coverage by acquiring additional licenses. The potential to make profits on GG World Lottery extends beyond the players, as investors in the project also have a chance to benefit from purchasing the ERC20 GG Coin (GGC) tokens. Token holders are entitled to earn dividends, which are paid on a quarterly basis. The dividends are directly proportional to the number of tokens held by each investor. GG World Lottery also offers additional incentives to ICO participants, including a chance to earn lifetime revenues from every GG World Lottery Jackpot won. At the moment, GG World Lottery has an ongoing private sale, and more information about the project is available at – https://ico.gg.international/.